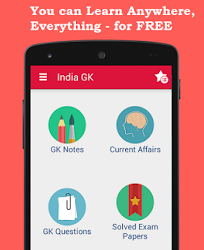 2nd September 2016 Current Affairs MCQs, Quiz, Questions: Current Affairs for September 2016, Daily Multiple Choice Questions (MCQs) for India GK, World GK and current affairs with Collection of daily objective type Question by www.Indiagk.net based on General Knowledge (GK) and General Science (GS) Questions for UPSC, State PSC, SSC, Police exam, Railway exam, SBI, Bank PO, IBPC, SSC, LDC, UDC, Army, Airforce, Navy, Coast Guard, Bank Clerk, TET and all entrance examination with current affairs News, Multiple Choice Questions (MCQs) available on Website www.IndiaGK.net and Android Apps with daily updates:. Who has been appointed as the United Nations Women’s Advocate for Gender Equality and Women’s Empowerment in India? PM Narendra Modi faces critisim for advertisement banner in which Group recently ? Who is the newly elected President of Gabon? Kashmiri Lal Zakir, who passed away recently, was a famous poet in which language? BRICS convention on Tourism concludes on 2nd September in Which city ? Which rocket of SpaceX was destroyed recently in an explosion during a propellant fill operation? PM Modi leaves for Vietnam, China on 2nd September 2016 ?